The most intense pre-season of Daniel Sturridge’s career so far has the Liverpool striker ‘feeling fresh’ and ready to attack the upcoming campaign. A week has now passed since the No.15 joined up with the Reds squad in California, having been on England duty at Euro 2016 earlier in the summer. Disappointment at the tournament in France followed on from the frustration of his outstanding opener in the Europa League final being overturned by a second-half Sevilla comeback. All of that has now been blocked out of Sturridge’s mind, though. There are no lingering thoughts of what unfolded in Basel. Instead, optimism reigns. “It is the past – it’s gone,” he tells Liverpoolfc.com. “It’s something you reflect on at the time and then you move forward and try to put it behind you and focus on the future and there hopefully being more finals and success for the team. 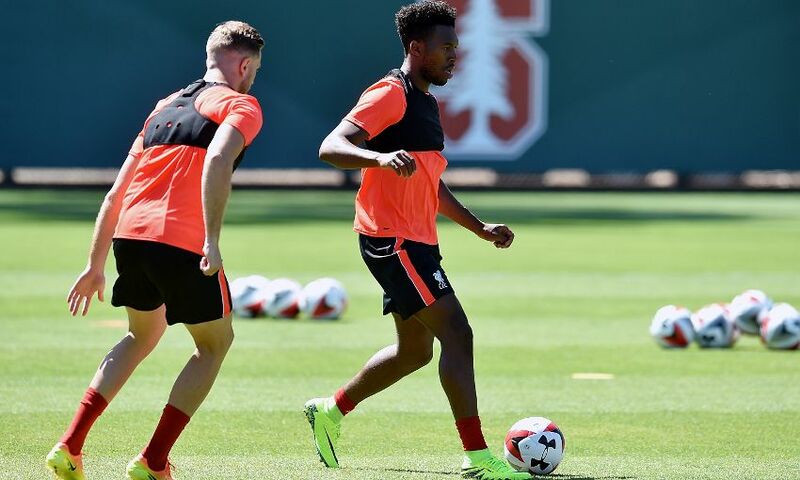 Sturridge’s mentality is founded upon the catalogue of hard work being done on the training pitches of Stanford University. Jürgen Klopp, in tangent with his backroom staff, is leading a series of sessions designed to not only make the players as fit as possible but drill them into the routines and decisions that can lead to results come the Premier League season. Scenarios are tested and repeated – and repeated. Instructions, encouragement and critique is delivered by the manager from one perspective, Zeljko Buvac from another, Peter Krawietz from yet another. It’s like nothing Sturridge has been a part of before. The 26-year-old explains: “It’s a lot more intense, probably the most intense I’ve ever experienced at any club. “It is just a different intensity and a different kind of pre-season. It is certainly something that everyone is getting used to and will hopefully put us in good stead for the season. “There has been a lot of hard work and a lot of running sessions, tactical sessions as well. It has been going well. Watch our exclusive interview with Daniel Sturridge now on LFCTV and LFCTV GO. Click here for details about how you can follow every kick of pre-season.